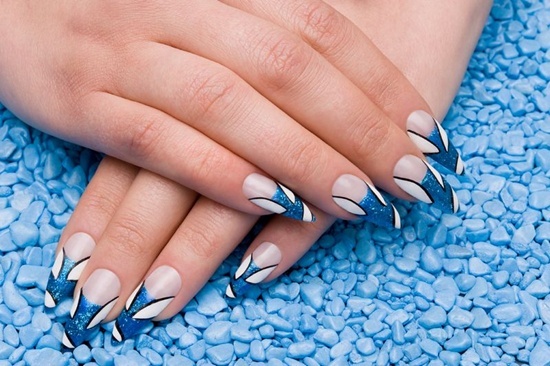 In our previous article, we introduced you to a new and fascinating alternative to artificial nails, i.e. the gel nails. Gel Tips with Nail Designs are more preferable than acrylics because they’ve got little chances of getting lifted and help in strengthening the real nails if used as a base coat. In this article, we have come up with the techniques and tips to be followed for gel nail application. A gorgeous design of clear gel nails with patterns of roses and leaves, connected in a swirling pattern. Normally, patterns like these would be difficult to achieve or look tacky if simply stickered on. As a gel nail design, they’re evenly spaced and shiny. Gel nails can be designed into any shape you’d like your nails to take on, including long and cork-tipped like the ones you see above. Sparkles look wonderful when done using gel, and still have your nails feeling smooth instead of the bumpy texture glitter usually creates when applied to nails. You can never go wrong with designs that characterize the era you were either born in or once loved. The bright pink and pastel blue done with black animal prints is undeniably becoming a classic, symbolic of the 80s and becoming popularized by the next generation of professionals. 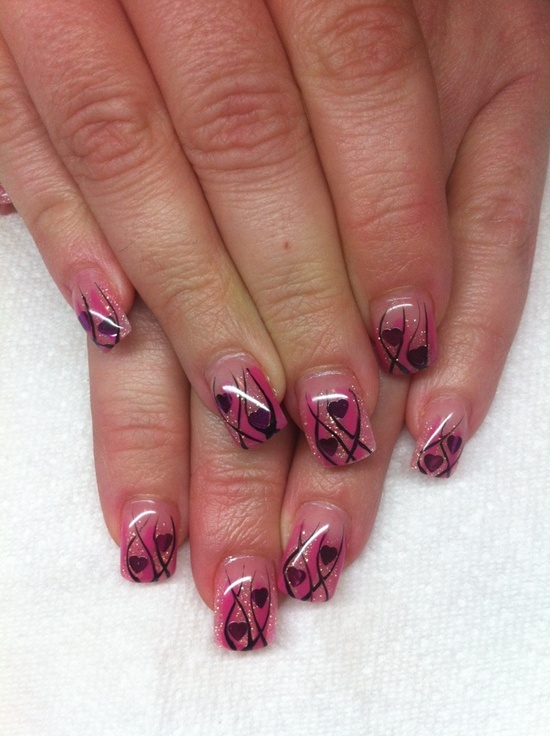 A lovely example of how fun and creative you can get with gel nails. The shine of gel nails never fades, even when glitter is applied heavily to the design like seen above. Colors are seemingly more brilliant, blacks are sharper, and the best perk about fabulous nails job like these are that they last anywhere from two to four weeks depending on how well you take care of them. 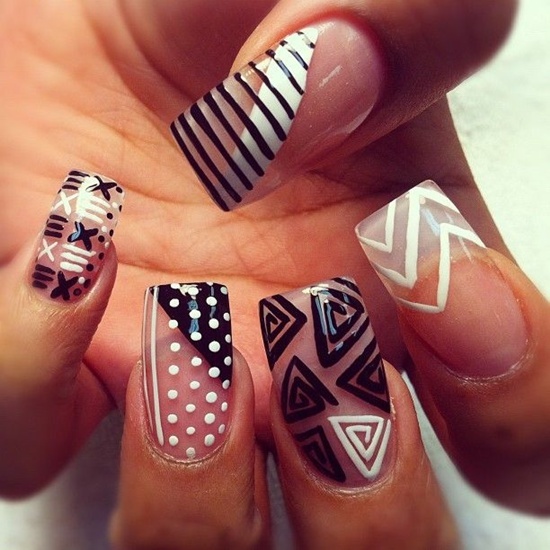 You can play around with many designs and styles when using UV gel nails. 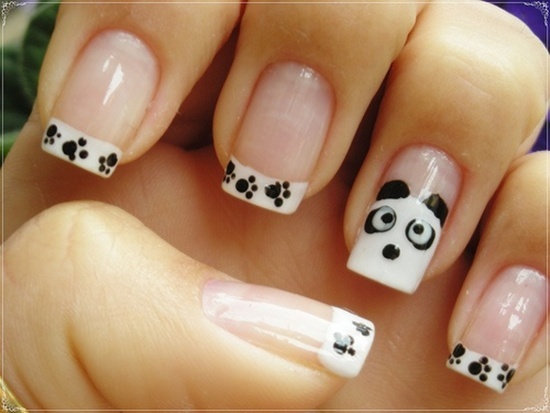 One of the ups about having them is that they will keep your underlying nails damage-free and strong as you wear them. Another is that you can still paint them after they’ve been set – like seen above.